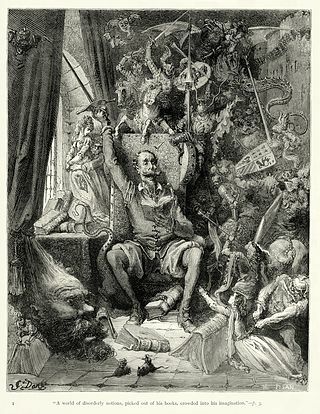 Gustave Doré’s first (of about 370) illustrations for Don Quixote. The University of Wolverhampton’s Faculty of Arts, and the Centre for Transnational & Transcultural Research, are proud to host the 14th International Triennial Conference of the British Comparative Literature Association. BCLA2016: Salvage considers the international and transnational circulation of textuality in the broadest comparative and historical terms, not merely as a process that involves the perceived colossi of literature, but one that also charts the byways and alleyways of literary production, the sometimes hidden or obscured debts to individuals, coteries, and literary movements that might have formed (or will one day inform) other or new literary histories. 2016 is also the 400th anniversary of the deaths of Cervantes and Shakespeare, two writers whose lives and works have been salvaged from historical documents, bad quartos, and hearsay so successfully that we hardly question their authenticity. Like any salvage operation, however, literary history has not only attempted to reconstitute the corpa of its hallowed authors, but it has also sanctioned generations of succeeding writers who have reused, recycled, and redeployed words, meanings, and forms through translation, parody, homage, pastiche, adaptation, allusion, intertextuality, and imitation. Salvage, too, knows no borders, as the mighty wrecks of Shakespeare and Cervantes demonstrate: while reclaimed for nationalist narratives, their works have been incorporated into the fabrics of many languages, literatures, and cultural settings. Proposals are invited for the Fourteenth Triennial Conference of the British Comparative Literature Association be held at the University of Wolverhampton (UK) from 12-15 July 2016. The theme of the conference is ‘Salvage’, a concept at the very heart of literary and cultural activity. Translation, reception, re-reading – the vital substance of comparative literary research – all refer to processes by which literature’s significance is activated or released in acts of salvage, acts of saving and, indeed, salvation. Plenary speakers at the conference will include Professor (Emeritus) David Constantine and Dr Susan Jones (St Hilda’s College, Oxford). The year 2016 will see a number of anniversaries from the domain of literary and cultural studies within the European sphere alone. Prominent among these is a shared 400th anniversary, that of the death of Miguel de Cervantes and William Shakespeare. This anniversary, we envisage, will form a thematic strand running in parallel to the main conference theme. Proposals are invited for papers, in English, of no more than 20 minutes’ duration, on or in relation to the conference’s theme of Salvage. Proposals, in the form of an abstract of 250 words accompanied by a brief ‘bio-note’ of 50 words at most, should be submitted by email to bcla2016@wlv.ac.uk by no later than 30 September 2015. Proposals are invited for panels, in English, comprising 3-4 papers, each of no more than 20 minutes’ duration, on or in relation to the conference’s theme of Salvage. Proposals (see below) should be submitted by email to bcla2016@wlv.ac.uk by no later than 31 August 2015. Panel proposals should take the form of an abstract of 300-350 words describing the proposed topic, establishing its connection to the conference’s theme, indicating briefly how the treatment of the proposed topic constitutes a comparative approach to and analysis of the material concerned (proposers may refer to the BCLA’s mission statement) and explaining the complementarity of the proposed papers. This abstract should be accompanied by synopses of 150-200 words for each of the papers, together with a brief ‘bio-note’ of no more than 50 words for each contributor. With regard to the theme of salvage, proposals for panels considering antiquity/monuments, forgotten books and readers and the literature of al Andalus would be particularly welcome. 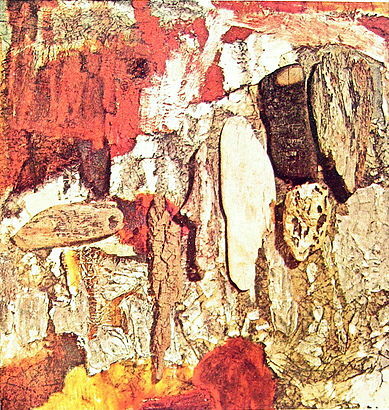 The antithesis of salvage: suppression, censorship, stigmatization, defamation, repression, eradication, erosion, disarticulation, oblivion, forgetting.